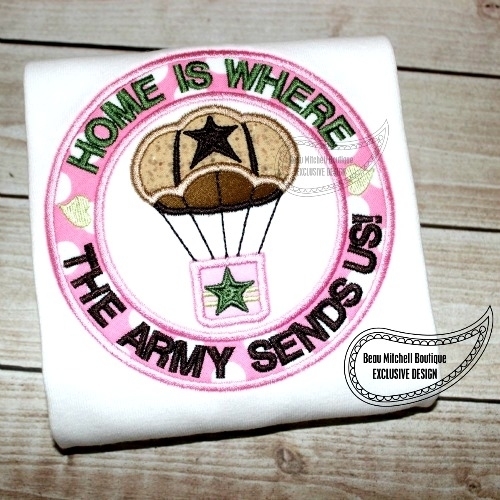 Home Is Where The Army Sends Us Circle Applique - 3 Sizes! This design is a 2 color applique in three sizes, see below. Home Is Where The Navy Sends Us Applique - 5 Sizes! 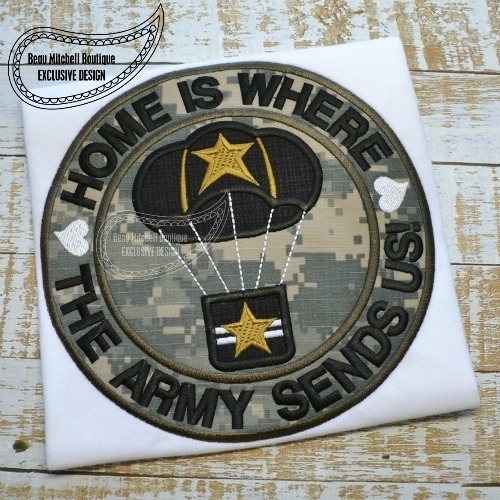 Soldier Applique - 5 Sizes! Finish Size 4.89" X 4.89"
Finish Size 6.24" X 6.24"
Finish Size 7.83" X 7.83"